IT IS said never to laugh at other people’s failures because, as it is also said, what goes around comes around. About a decade ago, we South Africans watched in almost bovine insouciance as thousands of Zimbabweans left their country in droves, crossing borders into various regional countries – especially ours – to escape a mad, paranoid, ageing despot who continues to parade as a president. Supporting this madness was the party led by the same despot, even as he gets older and less coherent in everything he says and does. The few Zimbabweans who dared stand up and speak truth to power were crushed. They were either imprisoned or killed, made to disappear from the face of the earth with whatever remained of them disposed of in places yet to be found. Convinced that none of what was happening in Zimbabwe would ever visit our shores, we simply watched, shook our heads, and continued with our business. We felt immune to the blinding sandstorms that occasionally blow through much of Africa, storms that have come to inform the narrative of what Africa has come to be globally associated with, a narrative we habitually blame others for: the West, white monopoly capital, white people in general, and anyone else but ourselves. We’re perpetual victims of the actions of others, helpless and easily influenced; but always victims. For my part, I have often boasted to many of my friends at home and abroad that no South African president would ever dare try to stay in power beyond their constitutional two-term mandate; that a coup d’êtat would also never be sustainable in South Africa. I boasted that South Africans have proven before and will prove again by standing up to push back if any of the storms we see elsewhere were to head in our direction, or if any local political formation were to even attempt to derail our collective dream. But coups d’êtat come in many forms. I fear that we’re now experiencing a coup d’êtat of a special kind. I’m no longer so sure I could look my friends in the eye and make the same assertions without blinking. This is the saddest of times. The actions and inactions of the party that has governed our country since the dawn of our democracy have long passed the point of “acceptable”. And please, don’t even tell me that it is individuals in the party, not the party itself, who are messing things up. Parties are made of people. And people are fallible. Smart parties integrate sufficient checks and balances in their structures to protect themselves from possible takeover and abuse by rogue elements, including leaders who might forget that they are not the party; they are of the party. Going by everything we’ve seen up to now, the current ANC president has managed to completely weaken a once proud movement no one disagreed with when it described itself as ‘glorious’. The other so-called leaders in the party are weak and cowardly, men and women who behave like frogs that are being boiled in Marmite. They’re either totally oblivious to the fast-rising water temperature around them, or they no longer care. They’re also either too scared or too compromised. Or simply too incapable of connecting the dots and of acknowledging what they see in the mirror, for we all look in the mirror from time to time. They seem ready for a collective suicide. And whatever they might have achieved, individually or as a collective, will be covered in ashes by the time they leave office. They cannot fool themselves for ever; they certainly cannot fool us forever. The DA, a party that we’ve observed exponentially expand its reach into many previously unthought-of parts of the country, seems to be held to ransom by obstacles that come from within. Other than leading clean, transparent, socially conscious regional and local governments where it has won elections, one would expect its leaders to also be fully aware of the persisting racist tags that remain stubbornly attached to their party’s brand. They have to be clear about what it is they want their party to be known for and associated with, and they must publicly, unambiguously, reject conduct within its ranks that goes counter to their party’s vision of itself and of our country. They have to act transparently, irrespective of who the bad apples are, as their conduct constitutes a stubborn barrier between party and the aspirations of a greater majority of South Africans. The EFF should do the same. 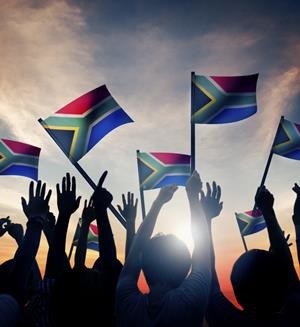 While its raison d’être is to push for the economic emancipation of the masses of our people and the creation of a fully inclusive economy, it cannot be the party South Africa needs to carry it into the future if it’s seen to be a one-theme party that seems to fail to appreciate the need to unite all South Africans around a set of shared ideals. It has to acknowledge South Africa as a diverse country and a home for all who live in it; majorities and minorities. The EFF has played a laudable role in the Nkandla saga, pushing for political accountability and equality before our courts, but as it grows in stature, it must also define a whole basket of policies, including the foreign policy for the country it will implement if it were to lead in the future, ensuring that South Africa grows as a positive influencer in a global arena beyond Africa that is hungry for leadership. The current batch of leaders is, decidedly, irredeemable. It has squandered its chances.